Published a Book with many General Knowledge Questions and Answers. Around one year back, our Team had prepared lot of General Knowledge Questions and Answers for posting them in this blog. Our Team put lot of efforts to come up with these questions which are useful for the people who prepare for competitive exams in India. And, then we published these questions as youtube video which is getting lot of views. So, I have decided to publish these questions as Book also. This Book is now available as both paperback book and Kindle Book. 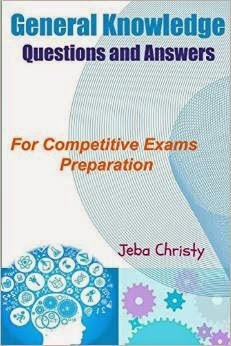 General Knowledge Questions and Answers Book consists of multiple choice questions for practice. The questions in this book cover all areas of general knowledge including science, geography, history and sports. The answers to all these questions can be found at the end of the book. This book is helpful to prepare for your competitive exams such as SSC, Bank Po/Clerk, UPSC, Railway and many others. It is a good way to broaden your knowledge by learning these questions. You can subscribe to our Email posts, and you can subscribe to our blog feed. We had launched our news website RtoZ.org around 4 years back. And, we had published lot of news articles especially social media news in that website. Now, we are adding latest technology news also in that website. You can read news about new inventions and latest researches. Apart from publishing latest technology news in RtoZ.org, I am taking steps to publish latest technology news in our youtube channel also. We are focusing on giving the latest technology news with more information and analysis, as early as possible. So, remember to visit our site RtoZ.org and our youtube channel if you are interested to get the latest technology news earlier. And, if you are a researcher/inventor/business person, contact me (rajamanickam.a@gmail.com ) with the details about your new invention/research/product for giving news about it in our website or YouTube channel. I welcome your suggestions to improve the quality of our news reporting. And, you can discuss about any latest technology in our forum here.